The purpose of this award is to equip the learner with the relevant knowledge skills and competence to prevent and control infection within the health services area and food related services i.e retailing, catering and manufacturing. This part-time, single programme module, successful completion of which leads to QQI Level 5 component 5N3734 QQI Level 5 Major Award 5M3782 Healthcare Service Skills. 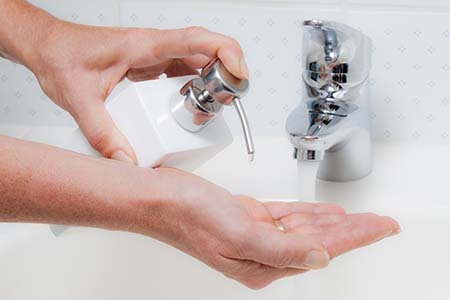 The course initially outlines the basic principles of infection control, its history and importance in both in candidate's vocational and personal lives. The next phase is to look at the various types of micro organisms, how they grow and spread through the chain of infection. The key role of standard precautions and additional precautions for blood and air borne diseases. Practical exercises such as hand washing and spillage management are demonstrated in class. The concept and the management of healthcare acquired infections and the precautions needed to minimise risks are outlined in depth. In maximising the prevention of infection the role of health management teams and the importance of the participant in these teams are emphasized. Duration: 100 hours of which 50 hours are directed learning and 50 hours self directed learning. Entry Requirements: Leaving Certificate or relevant qualifications and/or relevant life and work experiences. Participants must speak and work in English at a standard appropriate to the course content, 100% attendance.